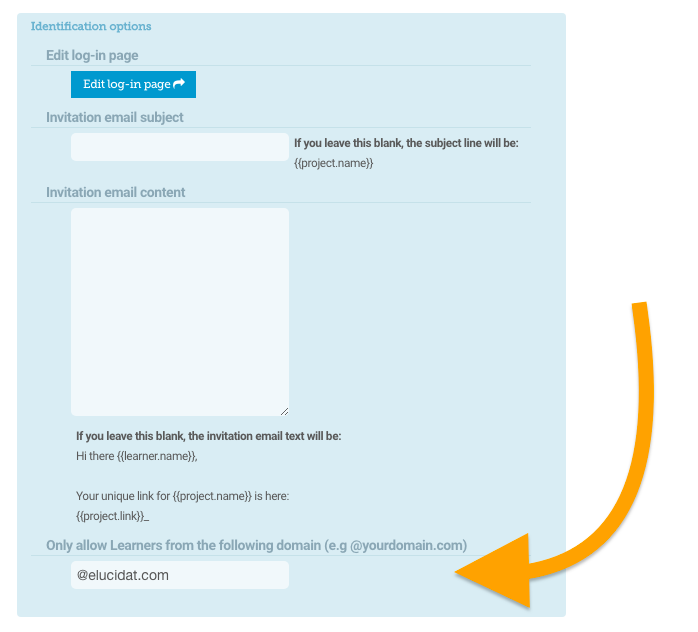 It is possible to restrict access for Online Link releases to users with a specific email domain by following these steps. Press 'Configure' and then select ''Learn Tracking'. This will activated the 'Identify' feature. 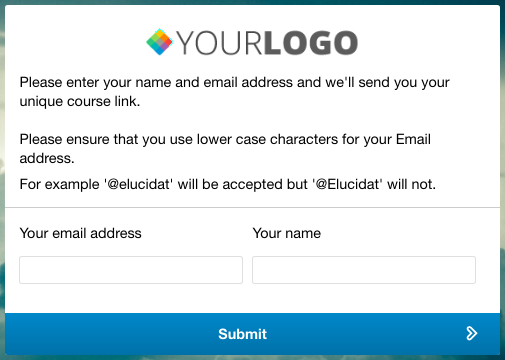 In this example, a user will not be able to access the learning unless they have an '@elucidat.com' URL. 💡 Please note! This feature can be used with one domain only. This feature is case sensitive, for example in the above example '@elucidat' will be accepted but '@Elucidat' will not. Please note that you can update the text on the identify page, by clicking 'Edit log-in page' in the 'Learner access control' preferences.